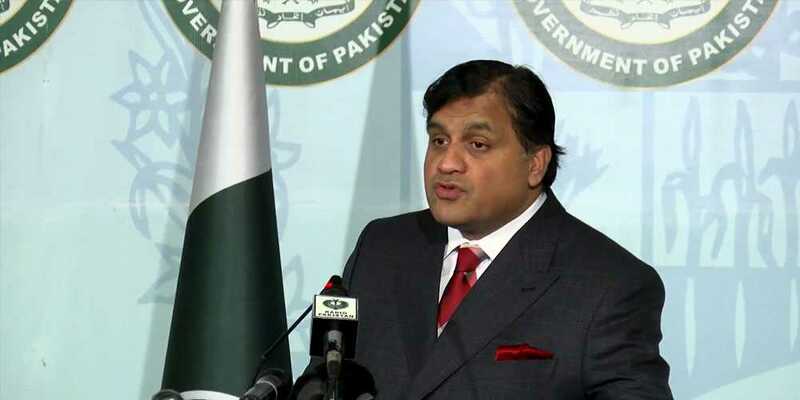 Foreign Office spokesperson Dr Mohammad Faisal, during his weekly press briefing, has said that since Indian spy Kulbhushan Jadhav's case is currently in court, commenting on it is not appropriate. “Information regarding Kulbhushan is contrary to the truth and we will not comment on it because of our respect for the judiciary,” he said. Dr Faisal, condemning Indian spy drones in Pakistani airspace, said that the Pakistani forces are alert and both the drones have been shot down. He added that Pakistan is ready to sit down and hold discussions with India; however, India is running away from the talks. Responding to US President Donald Trump’s statement earlier today about looking forward to meeting "the new leadership of Pakistan", Dr Faisal said that his remarks are a departure from January 1 tweet last year.